Change is constantly erupting around us, but in contrast to rapid technological development, digital transformation, population growth and urban sprawl, the reassuring constancy of human nature continues to link us with ages past and can even provide us with insightful clues about the way forward. 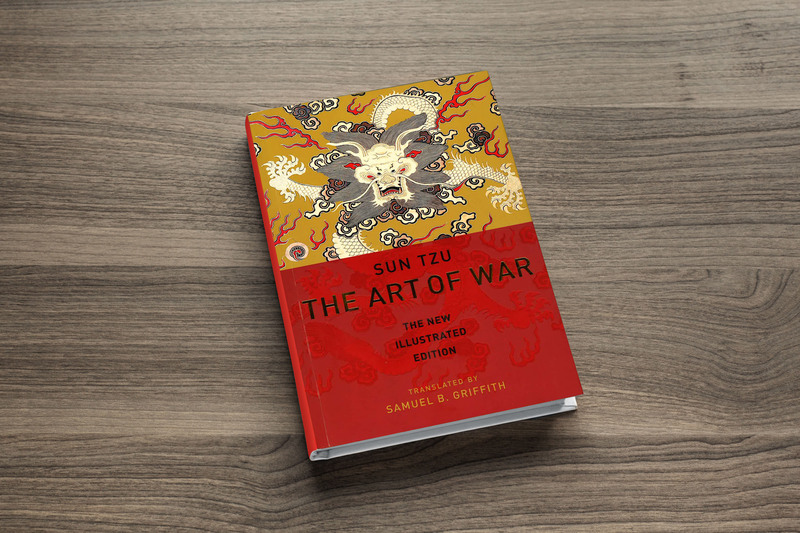 ‘The Art of War’ was written by Sun Tzu around 500 BC during the Warring States period in Chinese history, when the seven nations of Zhao, Qi, Qin, Chu, Han, Wei, and Yan were battling for control over Chinese territories. So why are CEOs, politicians, businessmen, teachers and leaders of all kinds still reading it over two centuries later? Sun Tzu repeatedly emphasises the importance of forming a ‘single united body’ that shares the same goal and works in harmony to realise it. He tells us that morale can be raised by sharing optimism, bestowing rewards and placing armies in challenging situations that bring them together. Today, this means ensuring that employees are invested in your company’s vision and committed to working together to achieve it. Loyalty is an invaluable quality in those we work with and choose to employ, and Sun Tzu had clear ideas on how to earn it: treating people with humanity, having confidence in them, and taking the time to understand their mental state. He also believed that strong leaders can be kind-hearted and humane while remaining authoritative and commanding at the same time. This perfect balance is still crucial for earning true loyalty. Foresight is one of MAG Lifestyle Development’s guiding values and Sun Tzu believed in it strongly, advising leaders to ‘ponder and deliberate before you make a move’. In his opinion, many calculations result in victory while few calculations spell defeat. He was also confident that a highly trained army could outstrip a larger one. In our data-heavy, research-laden world, making well laid plans and preparing our teams for the future has never been easier; it is essential that we do so. Sun Tzu dedicated an entire chapter to ‘Variations and Adaptability’, instructing leaders to adjust their strategies and tactics to the infinite variety of circumstances. This concept has been referred to as ‘strategic situationalism’, which describes a change in direction based on a deep understanding of all aspects of the situation, the competition and your own people. Taking a holistic approach to business decisions is still the key to success in our increasingly complex world. In contrast to these timeless qualities, Sun Tzu also shared five dangerous faults in a leader, including recklessness, cowardice, a hasty temper, a delicacy of honour and over-solicitude for his men. While our opinions may have softened somewhat in the intervening years, I believe Sun Tzu’s guidelines still remain a good starting point for anyone hoping to improve their leadership style. They describe a brave, humane and confident leader — the type of leader we all aspire to be.